Smartphones continue to dominate the mobile phone landscape in Canada. 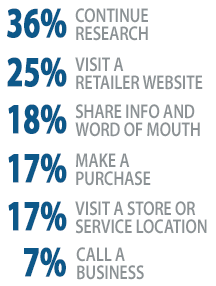 With 95% of smartphone users looking for local information, the need for retailers to participate in local search is mounting. The good news is that according to the recent study from Google and Nielsen â€œMobile Search Moments -Understanding how mobile drives conversionsâ€, there are immediate and direct payoffs for retailers. There are some interesting insights emanating from the study. We have highlighted some key points relating to retailers below. See the full 43 page PDF study here. 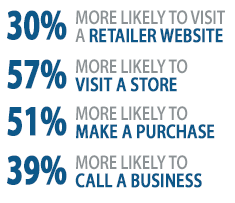 Reaching nearby mobile shoppers is becoming a key strategy for retailers to stay competitive and increase profits. Even if you do not have a website, you can take advantage of mobile search with the Shoptoit Retail Platform.